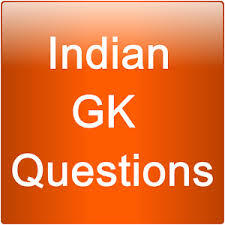 General Knowledge questions on Indian GK for Bank PO, IBPS, Bank Clerical And Indian GK For Railway GroupD,RPF,Rajasthan Police SI 02-09-2018 questions for bank exams, very important computer-related questions for Bank PO, SBI PO, IBPS,RAS, IAS, UPSC, RPSC, 1st, 2nd, 3rd Grade Teacher, REET CTET, LDC, SSC CGL, IBPS, MBA, CAT, MAT, SBI-PO, RBI And Railway, Indian Army And all competitive Exams, and Most expected Computer Question Papers with answers. These Questions are most commonly asked in Other Banking Exam And All subject Wise Notes and Math, Hindi, English, History, Political Science, Psychology, Sanskrit Related Study material. RPSC, 1st, 2nd, 3rd Grade Teacher And Railway Group D, RPF, Rajasthan Police related Study material. Question(1) Where is the National Dairy Research Institute located? राष्ट्रीय डेयरी अनुसंधान संस्थान कहाँ स्थित है ? Question(2) What is the first discourse given by Lord Buddha in Sarnath in Buddhism? भगवान बुद्ध द्वारा सारनाथ में दिया गया पहला प्रवचन बोद्ध धर्म में क्या कहलाता है ? Question(3) Air Force Day is celebrated? Question(4) Which city did the three historical warms of 1526, 1556 and 1761 occur? Question(5) Which state has recently been separated from Telangana state? Question(6) Which ocean is on the west coast of India? Question(7) Where is the headquarters of UNESCO? UNESCO का मुख्यालय कहाँ है ? Question(8) When was the World Trade Organization established? Question(9) What kind of education is the kindergarten system? Question(10) When did NCERT be established?